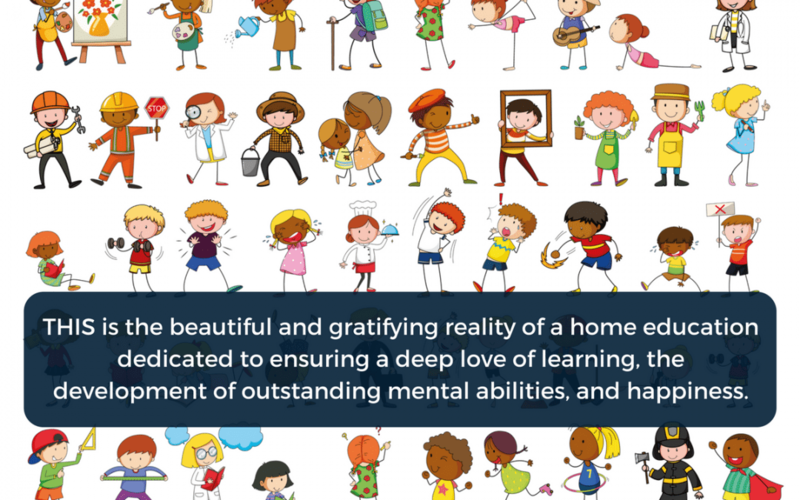 This is the story of the beautiful and gratifying reality of a home education dedicated to ensuring a deep love of learning, the development of outstanding learning abilities, and happiness. A builder, an architect, an entertainer, an investigator, an inspector, a planner, an artist, a scientist, a biologist, a physicist, a chemist, a story-teller, a driver, an engineer, a pilot, a zoo-keeper, an actress, a designer, an editor, a buyer, a writer, a shop assistant, a competition judge, a dress-maker, a sportsperson, a weather reporter, a journalist, a musician, a game-show host, a gardener and a furniture-maker – to name just a few. Can you think of a more delightful and satisfying way to discover the labyrinth of life and prepare for a happy and ‘successful’ future? As a conscientious parent and early years teacher in a previous life, I could have spent my time worrying about whether to homeschool or unschool or gameschool or worldschool or roadschool her, or send her to a traditional school. And on top of that, whether I could trust her school to support her in achieving her full potential or not, whether play is enough or not, whether to use worksheets or not, whether to introduce reading and writing early or not, whether to push her academically or not, whether to follow a curriculum or not, and a mountain more of these ‘do this or not’ dilemmas. I could have driven myself crazy. Instead, I chose to slide those fears to the side and probe deeper. They are all just symptoms of an education system that is widely considered to be failing and valid parental fears that your child could get left behind, or worse still won’t get ahead, or even worse, could end up desperately unhappy. Deep down I knew that for me the only thing that really mattered in these early years is whether my child could develop a strong will to learn, develop the mental abilities needed to be able to learn anything quickly and with ease, and be a happy, sunny child. To build up a deep and genuine love of learning, to have the ability to master whatever she needs to in the future, with speed and ease, and to live life joyfully. So I personalised her pre-school education in the best way I knew how. On top of her hours of independent play, socialising in and out of the home, learning from first-hand experiences and learning through living life, we’ve played together in the most amazing way, with an enormous variety of different games and scenarios given through stories. For this, we used the stunning collection of activities from Galina Dolya’s Key to Learning program and I couldn’t be more delighted that we discovered it. With this, I have allowed her to live through her childhood as fully as possible, but worked with her to deepen and enrich her child’s eye view of the fascinating world we live in, in the time we play together. I have secretly been supercharging her ‘learning abilities’ – her cognitive, communicative and self-regulative abilities. Others call this a ‘developmental education’. It’s not true that we can only take control of our child’s education if we teach them at home, although it’s obviously easier that way. For various reasons, but still with serious doubts, we decided to send her to school. When I heard things I didn’t agree with or didn’t like, I dealt with them with my daughter and then tried to let them go – reminding myself again of what was really important. Playing with her in this way at home was like compensating for what they were or weren’t doing at school that I knew she needed for those 3 things – a love of learning, effective learning abilities and being genuinely happy. I have put my heart and soul into the parts that I can influence. And she’s thriving. The deep desire she has developed to enlighten herself about everything in the world exhilarates me but also exhausts me every day. It’s truly a joy to see her connect together the pieces of the cultures in which we live and hear her share her own insights. I feel so lucky and so grateful to be able to play this role in her life! The revolutionary and unique Key to Learning program secures children’s cognitive, communicative and self-regulative abilities through shared play – the learning abilities necessary for academic and life success across the board. It is based on 46+ years of research and practice by 12 distinguished developmental psychologists and educationalists.